All this came upon King Nebuchadnezzar. At the end of twelve months he was walking on the roof of the royal palace of Babylon, and the king said, "Is this not magnificent Babylon, which I have built as a royal capital by my mighty power and for my glorious majesty?" While the words were still in the king's mouth, a voice came from heaven: "O King Nebuchadnezzar, to you it is declared: The kingdom has departed from you! You shall be driven away from human society, and your dwelling shall be with the animals of the field. You shall be made to eat grass like oxen, and seven times shall pass over you, until you have learned that the Most High has sovereignty over the kingdom of mortals and gives it to whom he will." Immediately the sentence was fulfilled against Nebuchadnezzar. He was driven away from human society, ate grass like oxen, and his body was bathed with the dew of heaven, until his hair grew as long as eagles' feathers and his nails became like birds' claws. When that period was over, I, Nebuchadnezzar, lifted my eyes to heaven, and my reason returned to me. I blessed the Most High, and praised and honored the one who lives forever. For his sovereignty is an everlasting sovereignty, and his kingdom endures from generation to generation. All the inhabitants of the earth are accounted as nothing, and he does what he wills with the host of heaven and the inhabitants of the earth. There is no one who can stay his hand or say to him, "What are you doing?" At that time my reason returned to me; and my majesty and splendor were restored to me for the glory of my kingdom. My counselors and my lords sought me out, I was re-established over my kingdom, and still more greatness was added to me. Now I, Nebuchadnezzar, praise and extol and honor the King of heaven, for all his works are truth, and his ways are justice; and he is able to bring low those who walk in pride. Beloved, let us love one another, because love is from God; everyone who loves is born of God and knows God. Whoever does not love does not know God, for God is love. God's love was revealed among us in this way: God sent his only Son into the world so that we might live through him. In this is love, not that we loved God but that he loved us and sent his Son to be the atoning sacrifice for our sins. Beloved, since God loved us so much, we also ought to love one another. No one has ever seen God; if we love one another, God lives in us, and his love is perfected in us. By this we know that we abide in him and he in us, because he has given us of his Spirit. And we have seen and do testify that the Father has sent his Son as the Savior of the world. God abides in those who confess that Jesus is the Son of God, and they abide in God. So we have known and believe the love that God has for us. God is love, and those who abide in love abide in God, and God abides in them. Love has been perfected among us in this: that we may have boldness on the day of judgment, because as he is, so are we in this world. There is no fear in love, but perfect love casts out fear; for fear has to do with punishment, and whoever fears has not reached perfection in love. We love because he first loved us. Those who say, "I love God," and hate their brothers or sisters, are liars; for those who do not love a brother or sister whom they have seen, cannot love God whom they have not seen. The commandment we have from him is this: those who love God must love their brothers and sisters also. Today the church remembers Athanasius, Bishop of Alexandria, 373. Athanasius contra mundum" Athanasius against the world. With this phrase Christians have for centuries summed up the great life and work of this wise bishop of Alexandria, Egypt. Long ago he became a symbol of orthodoxy of right and clear thinking in the face of overwhelming opposition. His thinking was ahead of his time. As Christians came to know and understand his teaching, they came to feel that he offered the most accurate intellectual expression of their faith. 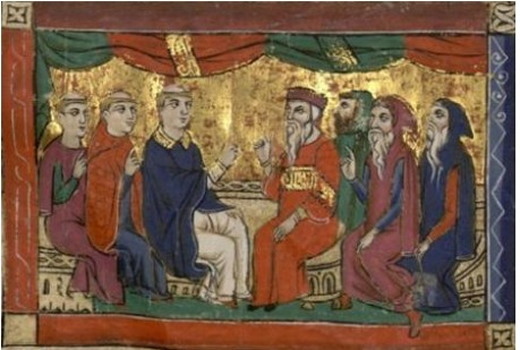 The doctrine he espoused eventually became the universal teaching of the church and embodied in the creeds, especially the one that bears his name, the Athanasian Creed. This did not come easily. 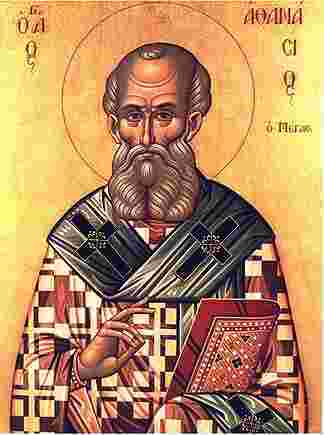 For a time it seemed that, indeed, the whole world was against Athanasius. His chief opponents, the Arians, gained control of the church. He was deposed and exiled and vilified. He died without seeing the victory of his position proclaimed at the General Council at Constantinople in 381. Basically, he opposed the Arian teaching that Jesus Christ was less than God but more than man. He held that such a being would be of no benefit to either God or man and could not reconcile God and man. Athanasius taught that Jesus Christ was truly God and truly man. In his renowned treatise, De Incarnatione, he wrote that God the Son "became as we are in order that we might become as he is." 1 John 5:14-15 (NIV) This is the confidence we have in approaching God: that if we ask anything according to his will, he hears us. And if we know that he hears us—whatever we ask—we know that we have what we asked of him. Then He said to them, "My soul is exceedingly sorrowful, even to death. Stay here and watch with Me." I wish you could have met me when I was twenty-one, because I knew everything then. I would have had an answer for any question you may have asked. But now that a few years have passed, I don't know as much as I once did. The fact is that I didn't know as much as I thought I knew back then. And after more than forty years of ministry, I have found that one of the best things you can do for a hurting person is to just be there. Sometimes when we don't know what to say, we simply don't show up. That is wrong. Just being there means a lot to someone who is suffering. When the time of Jesus' crucifixion drew near, He went to the Garden of Gethsemane to pray. He knew exactly what was waiting for Him. He knew they would crucify Him. Worst of all, being God, He knew He would have to bear all the sins of the world. So Jesus went to Gethsemane and took Peter, James, and John along. Then He told them, "My soul is exceedingly sorrowful, even to death. Stay here and watch with Me" (Matthew 26:38). Yes, Jesus is God. But He actually asked for His three friends to stay with Him and watch with Him during this time. If you're speaking to a grieving person, it's often good to simply say something like "I love you" or "I am here" or "I am praying for you." If they don't want to talk, don't talk. Don't try to explain things, because explanations never heal a broken heart. Just sit there with them. We have to avoid the easy answers and clichés when we're trying to comfort the suffering, because if we aren't careful, we may add to their pain. El Señor es mi fuerza y mi escudo; mi corazón en él confía; de él recibo ayuda. Si en catorce versículos Dios habla de los cuidados que tiene por las viudas, lo hace también por los huérfanos, así como por los viudos, los solteros, los ancianos, los divorciados y todos los que tengan esa carencia de pareja. También lo encontramos establecido en la primera carta del apóstol Pablo a Timoteo, donde le da instrucciones de cómo debe tratar la iglesia cristiana a personas con estas características y qué tipo de ayuda deben recibir en cuanto a lo espiritual y lo comunitario. Las preguntas que nos debemos hacer ahora son las siguientes: ¿Qué estamos haciendo por las personas abandonadas, mayores y viudas? ¿Las tenemos en cuenta en la iglesia y en nuestra sociedad? Tú y yo tenemos el llamado a distinguirnos, más aun cuando decimos ser cristianos. Por lo tanto, a esas personas las debemos llamar, visitar, orar por ellas y atender en sus necesidades. No obstante, si el caso tuyo es que eres una de estas personas que mencionamos hoy y te encuentras sola sin sentir apoyo alguno de quienes te rodean, Dios quiere decirte que no estás sola. Él es tu Padre, tu Amigo y tu Compañero en cualquier parte que estés. En su Palabra, Dios dice que tú debes recibir mayor cuidado y protección que otras personas. Confía en Dios con todo tu corazón y descansa en los brazos de tu Padre. A Filipino pastor, who is a former Muslim, lives on the island of Mindanao in the southern Philippines. He was a notorious gang leader and spent years in prison for robbery and murder. But there in prison he met Jesus Christ. After his release, he was so effective in leading Muslims to Jesus back home in Mindanao that Muslim extremists in his area kidnapped his fourteen-year-old daughter. They would only return her, he was told, if he stopped preaching about Jesus and returned to Islam. He and his wife prayed intensely about this and felt they could not give in to this blackmail. He continued to preach faithfully for three years with no definite news about his little girl. Three years later, he received a letter from his daughter. She shared with her parents that she had been sold into prostitution in neighbouring East Malaysia. But God had helped her escape. She was then taken in by a sympathetic Malaysian family and hidden for her safety. And then she fell in love with a young man and married him. She and her parents planned to visit together in a safe place. Spiritual warfare is the cosmic conflict that rages between the kingdom of God and the kingdom of Satan. Remember we are not talking about two equal kingdoms battling-it-out for victory. Satan is only a created being. Christ has all authority and power. Satan's power was broken at the cross. The Apostle Paul records for us in Colossians 2:15, And having disarmed the powers and authorities, he made a public spectacle of them, triumphing over them by the cross. So the only power Satan has today is the power to deceive the people of the world - to blind them from seeing the glory of God (2 Corinthians 4:3-4). Satan’s primary strategy is to divide and conquer. His key tactics include accusation, deception, and the interruption of our relationships with the Father and with each other. He is actively leading mankind to defile the land, which is God’s, in order to keep humanity in darkness. This is one reason unity in the Body of Christ is so critical for the fulfillment of the Great Commission. Why would someone lost in the chaos of the world want to be part of a fellowship of people that is disorderly, dysfunctional, and even destructive? The Church of Jesus Christ must be ruled by love. We must be a refuge, a place of safety! RESPONSE: I will be alert to Satan’s spiritual warfare tactics today without getting distracted from the Lord’s primary ministry directions. 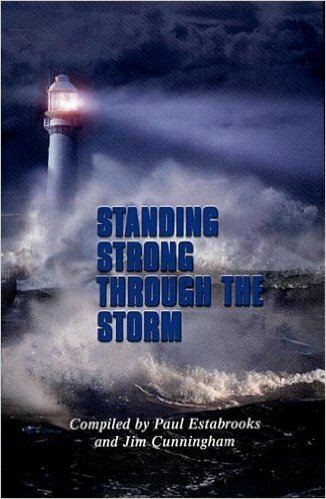 PRAYER: Pray for witnessing brothers and sisters on the frontlines who experience Satan’s greatest fury. Though one may be overpowered, two can defend themselves. A cord of three strands is not quickly broken (Ecclesiastes 4:12, NIV). Friendship is the springboard to every other love and the foundation for every healthy relationship. It is a proven fact that lonely people live shorter lives than those who have healthy friendships. Even Jesus needed friends when He walked this earth as a man. In fact, He placed great value on relationships. The Bible tells us Jesus spent much of His time deepening the relationships with a few – not the crowd. God created us to need each other. That truth is never more evident than when we are in pain or struggling with some crisis in life. One of the main factors leading to a two-year battle with clinical depression in my life was the absence of replenishing friendships. As I think back to that time, I am sure many women would have counted themselves as my friend when they were really just acquaintances because that was all I would allow them to be. My pride kept me from admitting I wasn’t Superwoman and that I did need the help of others. My insecurity held me back from reaching out to new friends and cultivating old ones. To admit my need of a friend seemed like a weakness instead of the precious gift God created it to be. I refused to take the risk of being hurt, rejected or misunderstood. I did not have time to invest in building intimate friendships and was too busy doing the work of God to be a friend. As a result, when the darkness hit, I felt isolated and alone. Friendship took on an entirely different meaning in my life from that point on. In fact, friends are a great source of strength and encouragement in my life today. Friends fast and pray for me, holding me accountable and confronting me when they see my priorities lining up in the wrong way. Friends make me stop and take time for fun. Friends have taught me to be transparent. Have I been hurt along the way? Yes. Have I been misunderstood? Yes. Have the friendships been worth the price? Absolutely! The words of Jesus found in John 13:34-35, portray the perfect backdrop for God’s love. "And so I am giving a new commandment to you now - love each other just as much as I love you. Your strong love for each other will prove to the world that you are my disciples." Does the world know we are His disciples by the way we love and relate to each other? Chad was a shy, quiet little boy. One day he came home and told his mother he'd like to make a valentine for everyone in his class. Her heart sank. "I wish he wouldn't do that!" she thought. She had watched the children when they walked home from school. Her Chad was always behind them. They laughed and hung on to each other and talked to each other, but Chad was never included. Still, she decided to go along with her son’s plan. She purchased the paper, glue and crayons and for three whole weeks, night after night, Chad painstakingly made thirty-five valentines. Valentine's Day dawned, and Chad was frantic with excitement! He carefully placed the valentines in a bag, and bolted out the door. His mom decided to bake his favorite cookies because she knew he would be disappointed when he came home from school. It hurt her to think he wouldn't get many valentines - maybe none at all. That afternoon she had the cookies and milk on the table. Finally, when she heard their voices, she looked out the window to see the children laughing and having the best time. As usual, there was Chad in the rear but walking a little faster than usual. She fully expected him to burst into tears as soon as he got inside. His arms were empty. When the door opened, she choked back tears as she said, "Honey, I have some warm cookies and milk for you” but he hardly heard her words. He just marched right on by, his face glowing, and all he could say was, "Not one! Not a single one." The mother’s heart sank. Then he added, "I didn't forget one, not a single one!" When God is in control of our friendships, and when we trust Him with those friendships, we will be better friends and we will have more true friends. Father, You are the most faithful and most precious friend I will ever have. Teach me how to develop friendships that reflect your unconditional love and continual forgiveness. In Jesus’ name, amen. Looking for a Bible Study that is both practical and powerful? 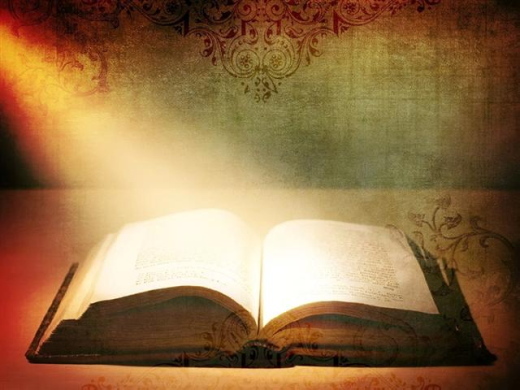 Check out Mary’s E-Book Bible Studies. Each one includes a study guide that you can download for your personal use or for a small group study. I Need a Friend is available in Bible Study format. And be sure to connect with Mary on Facebook or through email. 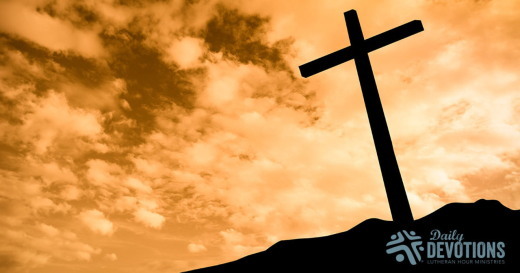 LHM Daily Devotion - May 2, 2017 "A Great Faith, a Greater Savior"
"A Great Faith, a Greater Savior"
Matthew 5:44 - (Jesus said) "But I say unto you, Love your enemies, bless them that curse you, do good to them that hate you, and pray for them which despitefully use you, and persecute you" (KJV). Over the years I have run into many people who think pastors and priests are always men of great faith. Now it is true that many who wear the cloth have a wondrous and wonderful relationship with their Lord. I have met and stood in awe of these preachers. On the other hand, and I can only speak for myself here, I have also encountered laypeople whose faith makes mine appear miniscule in comparison. When we get to heaven I will count myself lucky if I can see their mansion with a large telescope. In the list of people with great faiths, I would have to include many of the Christian Copts of Egypt. This past Palm Sunday, when our children were waving palm fronds and shouting out their "Hallelujahs," the little ones of two Coptic congregations in Egypt were ducking for cover as suicide bombers destroyed churches, families, friendships, and futures. The death count was 49. The wounded were numbered over 100. Since those reports came out, I've been doing some soul-searching, trying to decide how I would react if that had been my church -- my family -- who had been blown up by fanatics of another religion, whose hearts were filled with hatred. Below is what I felt. My very first emotion was a desire for revenge, you know, an eye for an eye, a life for a life. Thankfully, there were too many passages of Scripture which clearly condemned vengeance, and very quickly I was forced to abandon that point of view. My second thought was if I can't have revenge, at least I can have justice. Unfortunately, the death of the innocent Savior and the persecution and murder of most of His disciples makes it clear: the scales of justice don't always get balanced during this life. In contrast to what I felt was a Coptic woman, no, make that a new Coptic widow who has said, "I am praying for the perpetrators. I am asking the Lord to move them so they may reconsider what they are doing." Another Coptic lady said she has "already forgiven" those who had masterminded the murderous explosions. I am moved and impressed? So are many others. Reading about the carnage and hearing no call for revenge, one individual wrote, "Coptic Christians are made of steel." Well, maybe not steel, exactly, it's probably more like equal measures of faith, courage, and Christian commitment -- commitment to the Savior who gave His life for their redemption and salvation.As for me, all I can do is pray for these brothers and sisters, stand in awe of what the Holy Spirit is doing through them, and repeat the comment of the Savior who, having seen a centurion's witness, declared to the crowd that followed Him, "I tell you, not even in Israel have I found such faith" (Luke 7:9b). Cada vez que la lotería se acumula y llega a los $200 millones, empiezo a imaginarme qué haría con si ganara todo ese dinero. Los primeros $80 millones son fáciles de gastar. Pero justo cuando comienzo a soñar con qué hacer con el resto, mi esposa me hace volver a la realidad diciéndome: "si quieres ganar la lotería, primero tienes que comprar un boleto". La mayoría de nosotros pasamos una buena parte de nuestro tiempo soñando con lo que haríamos si... tal o cual cosa sucediera. Muchos de esos sueños tienen que ver con tener más dinero. "Qué haría si de pronto heredara una fortuna de un familiar que ni sabía que tenía... qué haría si un desconocido me regalara una bolsa llena de dinero sin pedir nada a cambio..."
La mayoría de las veces el deseo de ser rico no es más que eso... un deseo. Por eso es que me asombré cuando leí la historia del Dr. Manuel Padaroyal, el científico colombiano que desarrolló la primer vacuna contra la malaria, enfermedad que infecta a más de 300 millones de personas por año, y mata a más de 3 millones. El Dr. Padaroyal entregó la vacuna al mundo sin cobrar nada. Algunos lo consideraron loco y otros un salvador terrenal. Yo me inclino por esta segunda opción. Este doctor es un reflejo del Cristo que se dio a sí mismo para que fuéramos perdonados y bendecidos eternamente. También es un ejemplo para todos nosotros. Como seguidores del Salvador, podemos preparar una comida para alguien que recién salió del hospital o pasar una tarde cuidando los niños de una madre que necesita tener un tiempo para descansar o hacer otras cosas. Hay millones de maneras en que podemos ayudar a los demás, y no necesitamos tener dinero para poder hacerlo. Todo lo que necesitamos es querer ayudar a los demás. Kiley leaped at the chance to go to a remote area of East Africa to assist a medical mission, yet she felt uneasy. She didn’t have any medical experience. Still, she could provide basic care. Leprosy is another disease that can render its victims repulsive to others, and ancient Jewish culture had strict guidelines to prevent its spread: “They must live alone,” the law declared. “They must live outside the camp” (Lev. 13:46). That’s why it’s so remarkable that a leper approached Jesus to say, “Lord, if you are willing, you can make me clean” (Matt. 8:2). “Jesus reached out his hand and touched the man. ‘I am willing,’ he said. ‘Be clean!’ ” (v. 3). 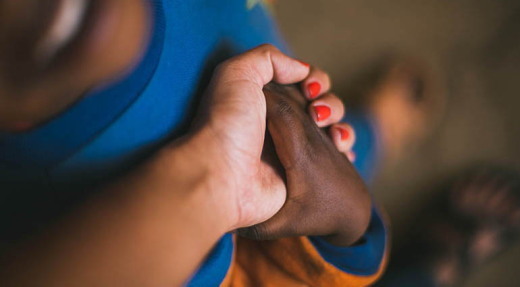 In touching a lonely woman’s diseased leg, Kiley began to show the fearless, bridge-building love of Jesus. A single touch made a difference. Lord, we want to show the fearless love You showed when You walked this earth. What difference might we make if we overcome our fears and trust God to use us? 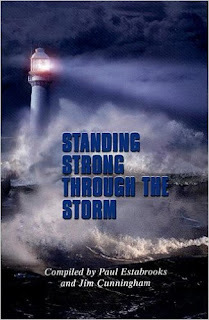 Share with other readers at Facebook.com/ourdailybread. Kiley rất vui sướng khi có cơ hội đi đến một vùng hẻo lánh thuộc Đông Phi để hỗ trợ một chương trình chăm sóc y tế, tuy nhiên cô vẫn cảm thấy băn khoăn. Cô chưa từng có kinh nghiệm gì về chăm sóc sức khoẻ. Dầu vậy, cô vẫn có thể thực hiện việc sơ cứu căn bản. Bệnh phung là một căn bệnh lây lan khiến bệnh nhân bị người khác xa lánh. Văn hóa Do Thái ngày xưa đã đặt ra những quy định nghiêm ngặt để ngăn ngừa bệnh này lây lan. Luật về bệnh phung quy định rằng: “Ngày nào người ấy [người phung] còn mắc bệnh thì còn bị ô uế và phải sống một mình bên ngoài doanh trại” (Lê. 13:46). Đó là lý do khiến câu chuyện người phung gặp Chúa Jêsus rất đặc biệt. Ông thưa với Chúa: “Lạy Chúa, nếu Chúa muốn, Chúa có thể khiến con được sạch” (Mat. 8:2). “Đức Chúa Jêsus đưa tay chạm đến người ấy và phán: ‘Ta muốn, hãy sạch đi!’” (c.3). Khi chạm đến đôi chân lở loét của nữ bệnh nhân cô đơn ấy, Kiley bắt đầu bày tỏ một tình yêu can đảm, nối liền mọi khoảng cách như tình yêu của Chúa Jêsus. Chỉ một cái chạm cũng đủ tạo nên khác biệt. Lạy Chúa, chúng con muốn can đảm bày tỏ yêu thương như Ngài đã bày tỏ khi còn trên đất này. Có những khác biệt nào xảy ra khi chúng ta vượt qua nỗi sợ hãi và tin rằng Chúa sử dụng chúng ta? 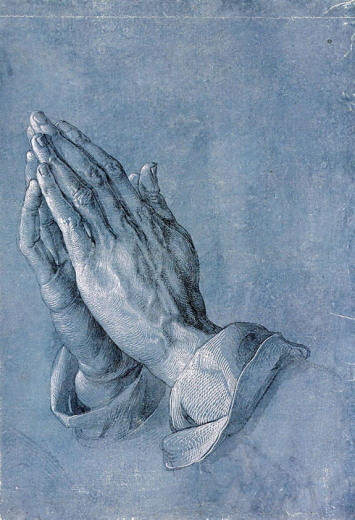 Jesús extendió la mano y le tocó… (v. 3). A Kiley le encantó la idea de ir a una zona remota de África oriental para ayudar en una misión médica, pero estaba intranquila. No tenía experiencia médica. Aun así, podía proporcionar primeros auxilios. Mientras estaba allí, conoció a una mujer con una enfermedad espantosa pero curable. La pierna deformada de la mujer la impresionaba, pero Kiley sabía que tenía que hacer algo. Mientras le limpiaba y vendaba la pierna, su paciente empezó a llorar. Preocupada, Kiley le preguntó si la estaba lastimando. «No —respondió—. Es la primera vez que alguien me toca en nueve años». La lepra es otra enfermedad que puede hacer que sus víctimas sean repulsivas para los demás, y en la antigua cultura judía, había pautas estrictas para evitar su contagio. Sobre el leproso, la ley declaraba: «habitará solo; fuera del campamento será su morada» (Levítico 13:46). 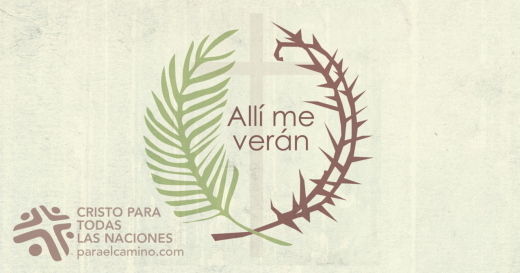 Por eso es tan increíble que un leproso se acercara a Jesús para pedirle: «Señor, si quieres, puedes limpiarme» (Mateo 8:2). «Jesús extendió la mano y le tocó, diciendo: Quiero; sé limpio» (v. 3). Al tocar la pierna enferma de una mujer solitaria, Kiley empezó a mostrar el amor valiente de Jesús, que tiende puentes. Un solo toque marcó la diferencia. Señor, quiero expresar el amor valiente que demostraste al caminar sobre esta Tierra. ¿Qué puede pasar si superamos el temor y permitimos que Dios nos utilice? Kiley war begeistert über die Gelegenheit, in einem ostafrikanischen Land bei einem medizinischen Einsatz mitzumachen. Aber ihr war auch ein wenig unwohl. Sie hatte keine große Erfahrung. Aber bei der Betreuung konnte sie sicher helfen. Lepra ist auch eine Krankheit, die auf andere abstoßend wirkt, und im alten Israel gab es strenge Anweisungen, um zu verhindern, dass sie sich weiter ausbreiten konnte. „Sie müssen allein wohnen“, sagte das Gesetz, „und seine Wohnung soll außerhalb des Lagers sein“ (3.Mose 13,46). Deshalb ist es so bemerkenswert, dass ein Aussätziger zu Jesus kam und sagte: „Herr, wenn du willst, kannst du mich reinigen“ (Matth. 8,2). „Und Jesus streckte die Hand aus, rührte ihn an und sprach: Ich will’s tun; sei rein!“ (V.3). Als Kiley das kranke Bein der einsamen Frau berührte, zeigte sie etwas von der furchtlosen Liebe Jesu, die Brücken baut. Eine einzige Berührung kann ungeheuer viel ausmachen. Herr, wir wollen dieselbe furchtlose Liebe zeigen wie du, als du auf der Erde warst. Was könnten wir bewirken, wenn wir unsere Ängste überwinden und glauben könnten, dass Gott uns gebrauchen will? Kiley a sauté sur l’occasion de se rendre dans une région reculée de l’Afrique de l’Est pour participer à une mission médicale, mais avec un certain malaise. Elle ne possédait aucune expérience médicale. Elle pouvait toutefois apporter des soins de base. La lèpre est une autre maladie qui peut repousser les gens, et la culture juive de l’Antiquité comportait des directives à respecter à la lettre pour éviter sa propagation, comme la Bible le précise : « Il [le lépreux] habitera seul ; sa demeure sera hors du camp » (LÉ 13.46). Voici pourquoi il est remarquable qu’un lépreux se soit approché de Jésus pour lui dire : « Seigneur, si tu le veux, tu peux me rendre pur » (MT 8.2). Or, « Jésus étendit la main, le toucha, et dit : Je le veux, sois pur » (V. 3). En touchant la jambe malade d’une femme esseulée, Kiley s’est mise à manifester l’amour courageux de Jésus qui a le pouvoir de tisser des liens humains. Un simple toucher a amélioré les choses. Améliorons les choses par la victoire sur nos peurs et la foi en Dieu. Кілі ухопилась за можливість поїхати у віддалений куточок Східної Африки, щоб допомагати одній медичній місії. Вона почувалась дещо невпевнено, бо не мала медичного досвіду. Але вона могла виконувати елементарні функції доглядальниці. Знаходячись там, Кілі стикнулась із жінкою, що мала жахливу хворобу. Спотворена нога хворої викликала в Кілі відразу, але вона розуміла, що має якось допомогти бідолашній. Отже вона почистила рану і перебинтувала її. Та жінка раптово почала плакати. Занепокоєна Кілі запитала в неї, чи не зробила вона їй боляче. На що та відповіла: “Ні. Просто Ви – перша, хто за останні сім років торкався до мене”. Проказа – ще одна хвороба, що робить свої жертви відразливими для інших. В юдейській культурі існували жорсткі правила, спрямовані на локалізацію прокази. “Маєш бути самітним! – стверджував Закон. – Маєш жити поза табором” (Лев. 13:46). Ось чому було дуже незвичним, що прокажений наблизився до Ісуса і сказав: “Коли, Господи, хочеш, Ти можеш очистити мене!” У відповідь на це Ісус простяг руку, і доторкнувся до нього, говорячи: “Хочу, будь чистий!” (Мт. 8:2-3). Торкнувшись хворої ноги жінки, Кілі продемонструвала мужність і любов Христа. Навіть єдиний дотик може зробити багато чого. Господи, ми бажаємо являти іншим Твою мужню любов. Таку любов, що Ти демонстрував, коли ходив по цій землі. Що Бог може вчинити через нас, якщо зможемо пересилити свої страхи і навчимося довіряти Йому? Кили с радостью согласилась отправиться в Африку с медицинской экспедицией, хотя чувствовала себя при этом неловко. У нее совсем не было опыта. Все познания сводились к оказанию первой помощи. Было очень непросто. Однажды пришлось оказывать помощь женщине с жутким, но излечимым заболеванием. Ее искривленная нога вызвала у Кили чувство отвращения. Однако она превозмогла себя, произвела чистку и наложила на ногу бандаж. Женщина заплакала. Обеспокоенная Кили спросила, не больно ли пациентке. «Нет, – ответила та, – но вы первая прикоснулись ко мне за девять лет». Проказа – еще одна болезнь, которая вызывала у людей чувство отвращения. Древняя иудейская традиция имела строгие предписания, предотвращающие распространение болезни. «Нечист он; он должен жить отдельно, вне стана жилище его», – гласил закон (Лев. 13:46). Поэтому рассказ о встрече Иисуса Христа с прокаженным так примечателен. Несчастный, кланяясь, попросил: «Господи! Если хочешь, можешь меня очистить» (Мф. 8:2). В ответ на это «Иисус, простерев руку, коснулся его и сказал: “Хочу, очистись”» (Мф. 8:3). Прикоснувшись к больной ноге одинокой женщины, Кили проявила бесстрашную, все преодолевающую любовь Христа. Простое прикосновение имело огромное значение. Господи, мы хотим проявлять такую же бесстрашную любовь, которую имел Ты, ходя по земле. Что будет, если мы преодолеем страхи и позволим Богу употребить нас?